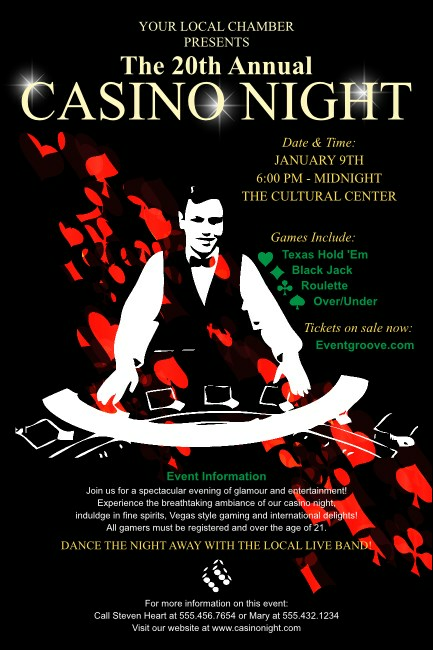 Deal yourself a top-notch hand in pre-event advertising when you print Casino Dealer Posters and post them in advance. Each sharp-looking Poster features the image of a dealer smiling behind the game table on a black background accented with red. Add twenty-four lines of unique text for all your event details to the template below. Increase your odds at TicketPrinting.com.